Tonight on ABC Dancing With The Stars continues with an all new Monday October 20, season 19 week 6 episode 8 called “Pitbull Night”. On tonight’s episode International superstar Pitbull returns to the ballroom and for the first time joins Julianne Hough, Carrie Ann Inaba and Bruno Tonioli as a guest judge. On “Dancing with the Stars.” Pitbull will kick-off the night with a steamy performance of his hit single “Fireball” followed by the nine remaining celebrities performing to a mix of his hits and personal favorite songs. Dance styles will include Salsa, Rumba, Foxtrot, Tango and Jazz. At the end of the night, one couple will face elimination. 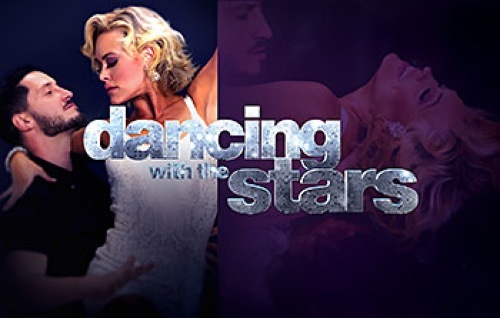 The contestants still in the competition and their professional partners are: Jonathan Bennett & Allison Holker; Tommy Chong & Peta Murgatroyd; Bethany Mota & Derek Hough; Janel Parrish & Valentin Chmerkovskiy; Alfonso Ribeiro & Witney Carson; Sadie Robertson & Mark Ballas; Antonio Sabato JR. & Cheryl Burke; Lea Thompson & Artem Chigvintsev and Michael Waltrip & Emma Slater. On last week’s episode the dance assignments for the night were: Jitterbug: Jonathan Bennett and Peta Murgatroyd. Mambo: Tommy Chong and Emma Slater. Hip-Hop: Bethany Mota and Ballas. Burlesque: Janel Parrish and Artem Chigvinstev. Flamenco: Alfonso Ribeiro and Cheryl Burke. Charleston: Sadie Robertson and Derek Hough. Bollywood: Antonio Sabato Jr. and Allison Holker. Broadway: Lea Thompson and Val Chmerkovskiy. Disco: Michael Waltrip and Witney Carson. Did you miss any of last week’s performances? If you miss them we have a full and detailed recap, right here for you. Tune in tonight at 8 PM EST on ABC to watch the stars all hit the ballroom. We’ll be recapping it for you live right here. In the meantime hit up our comments section and tell us who you are already rooting for? RECAP: Tonight’s show starts with some results. The first couple who are safe are Tommy Chong & professional dancer Peta Murgatroyd. Janel Parrish & professional dancer Valentin Chmerkovskiy are in jeopardy. Jonathan Bennett & professional dancer Allison Holker are also in jeopardy and dancing first tonight. Jonathan Bennett & professional dancer Allison Holker dancing Jazz. Janel Parrish & professional dancer Valentin Chmerkovskiy dancing the Samba. Tommy Chong & professional dancer Peta Murgatroyd dancing the Fox Trot. More results, Lea Thompson & professional dancer Artem Chigvintsev are safe. Sadie Robertson & professional dancer Mark Ballas, Antonio Sabato JR. & professional dancer Cheryl Burke are all safe. Antonio Sabato JR. & professional dancer Cheryl Burke dancing Salsa. Sadie Robertson & professional dancer Mark Ballas dancing the Rumba. Lea Thompson & professional dancer Artem Chigvintsev dancing Salsa. More results, Alfonso Ribeiro & professional dancer Witney Carson are safe, as well as Bethany Mota & professional dancer Derek Hough. Michael Waltrip & professional dancer Emma Slater are in jeopardy. Michael Waltrip & professional dancer Emma Slater dancing the Argentine Tango. Bethany Mota & professional dancer Derek Hough dancing the Tango. Time to save one more couple, then next one safe is Michael Waltrip & professional dancer Emma Slater. The couple leaving in this sixth week of competition is Jonathan Bennett & professional dancer Allison Holker.